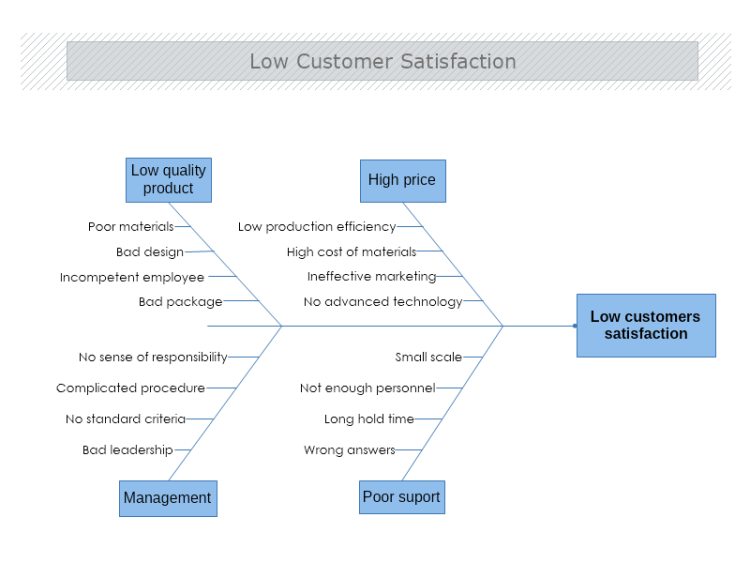 This template represents a simple cause and effect diagram of a low customer satisfaction. It contains of four main possible issues that are further splintered down into singular aspects that might be causing the unwanted end result. To ensure your customers are always satisfied with your product or service, download this free template and edit it in MyDraw so it meets all your needs and preferences.